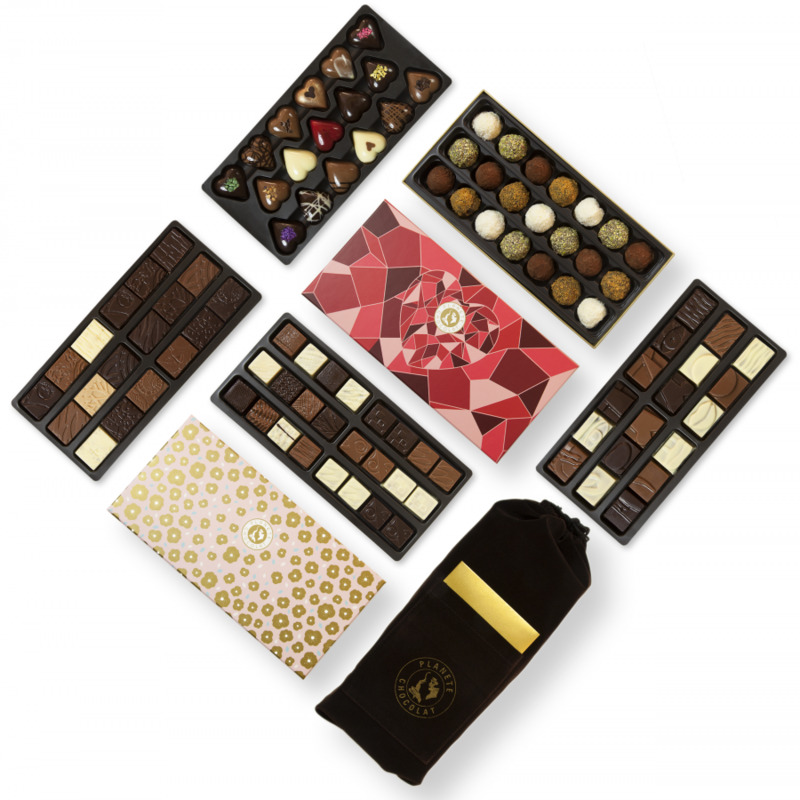 The house of Planète Chocolat has put together for you the ideal gift for an intense moment of enjoyment as a couple: a prestigious package of 134 pieces of chocolate, all equally enchanting and coming in 75 different flavors. 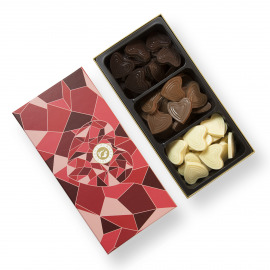 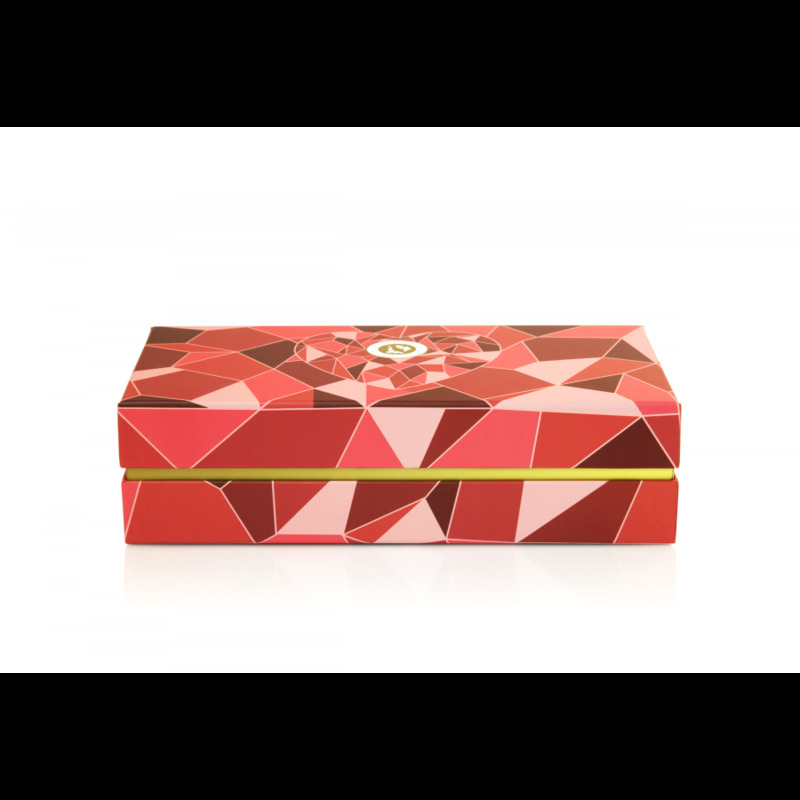 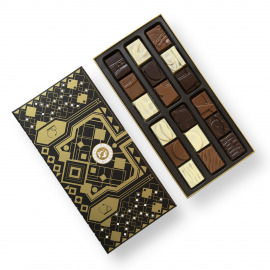 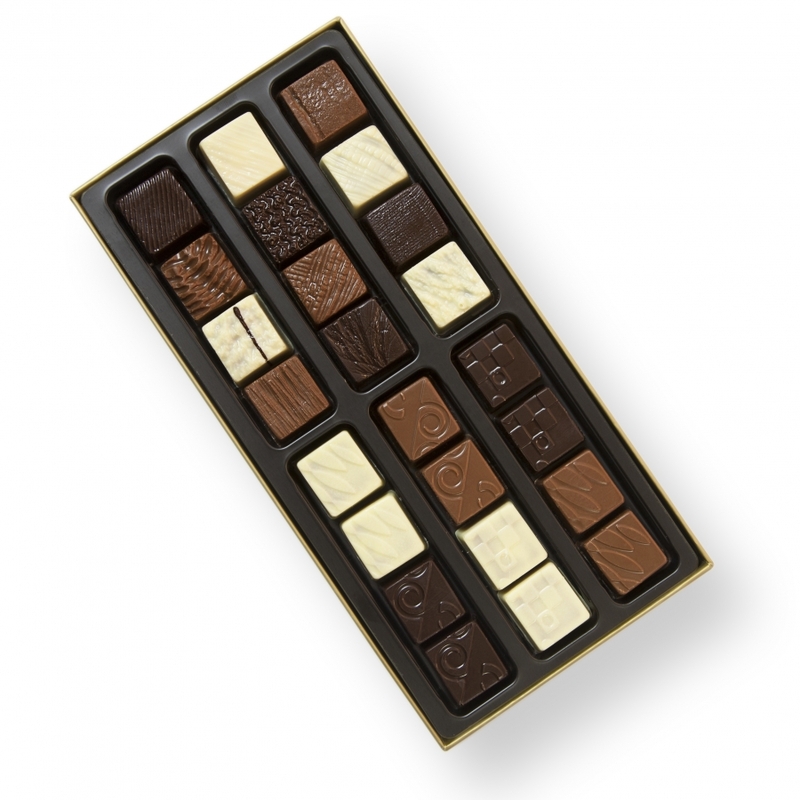 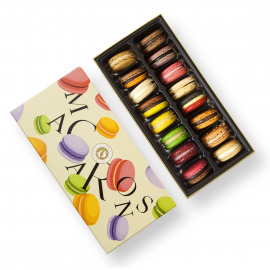 Made up of two boxes with several layers, this elegant package is as pleasant to look at as it is delicious to eat. 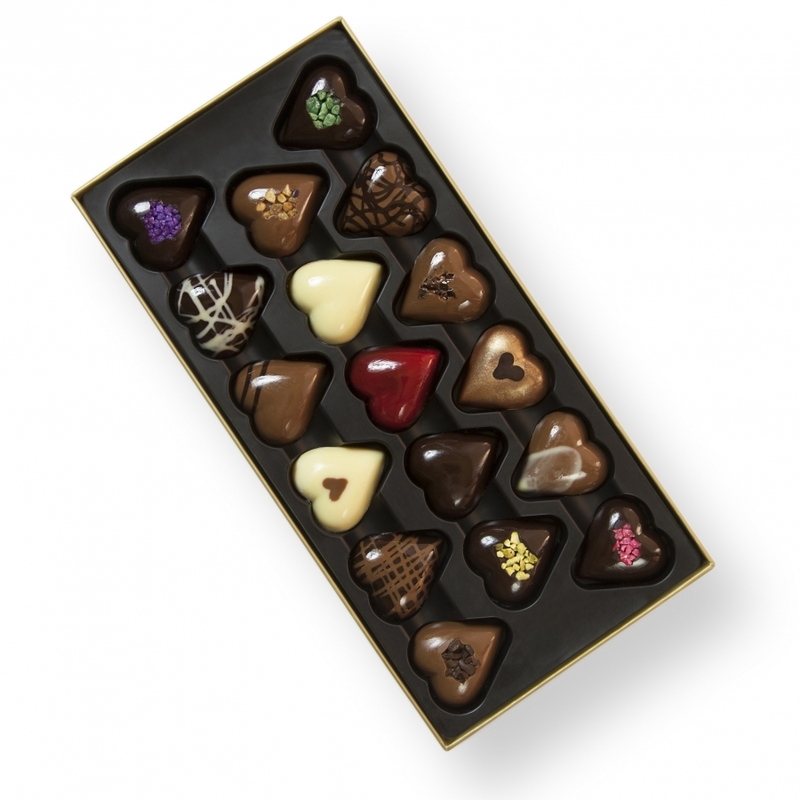 A sweet and romantic gourmet journey that will awaken every sense and celebrate love on this special day. 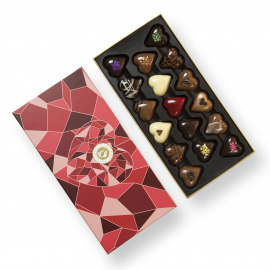 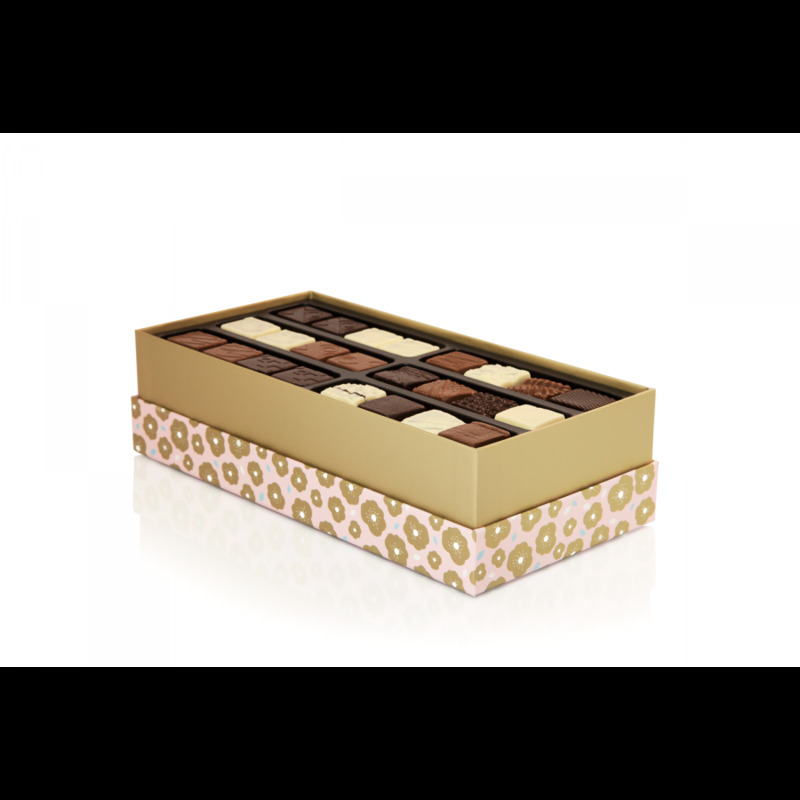 - Romeo & Juliet layer of pralines, with the flavors of the Juliet ganaches blending beautifully with those of her eternal partner, Romeo. 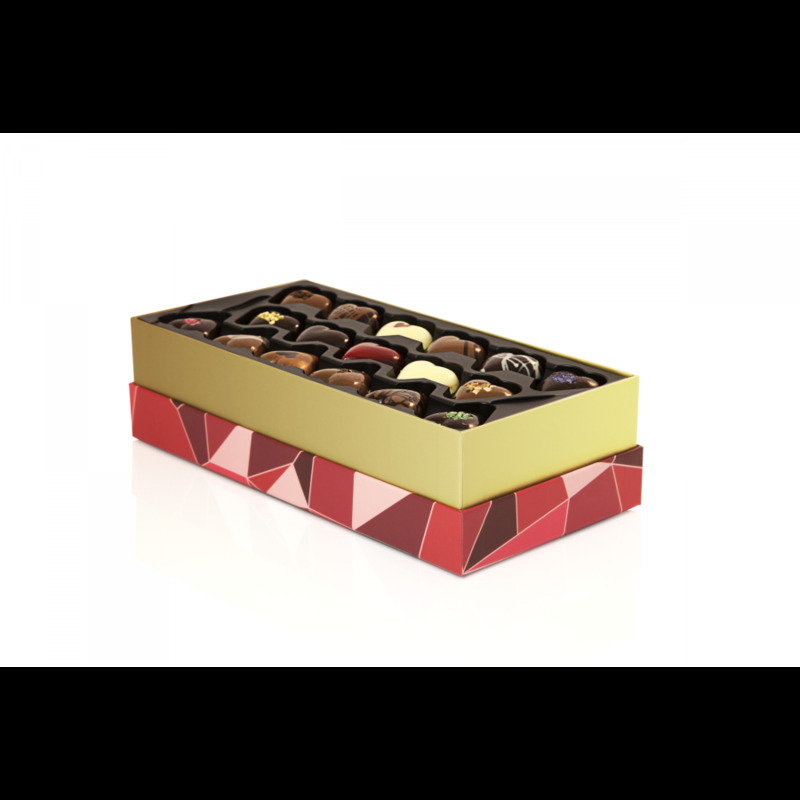 - an assortment of pralines, from the most traditional to the most unusual reveals a perfect balance of flavors. 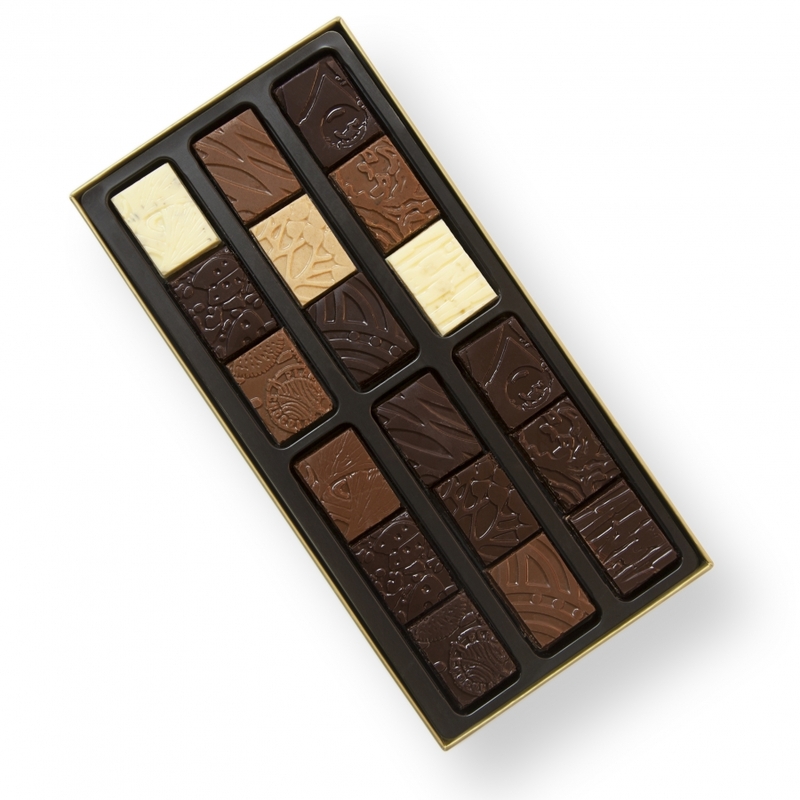 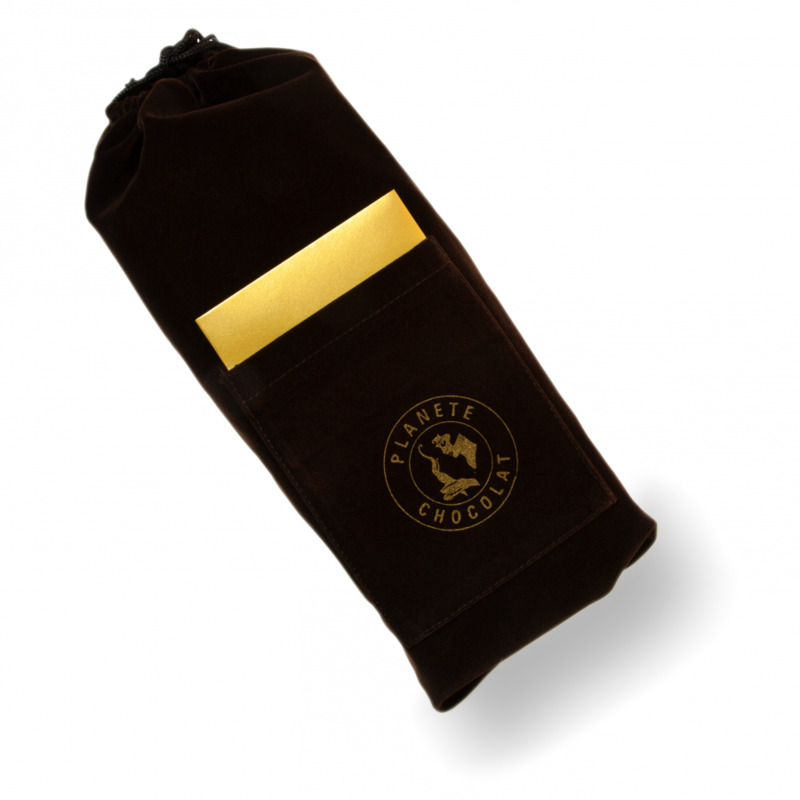 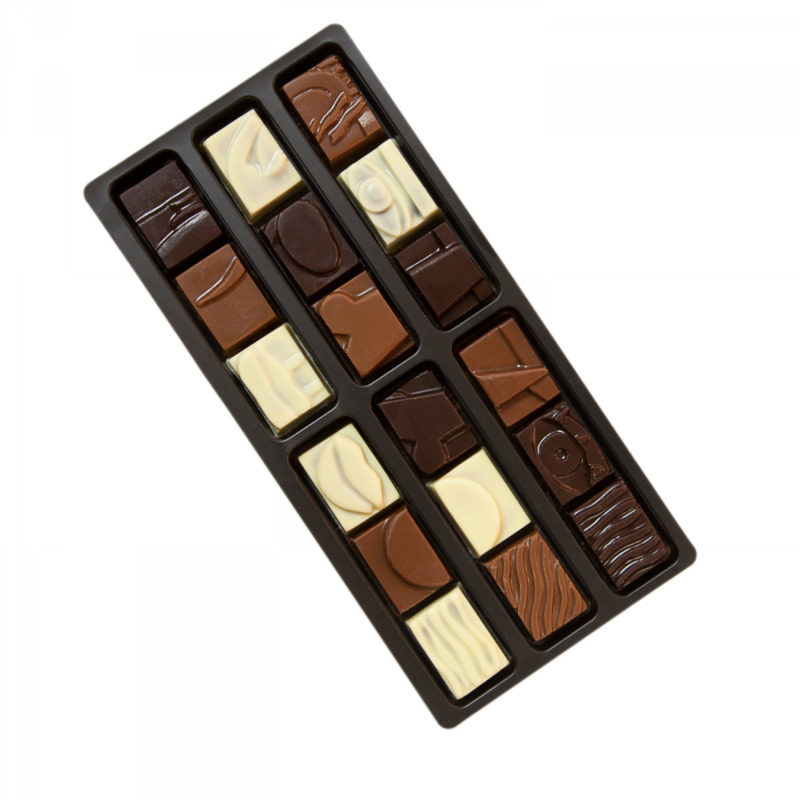 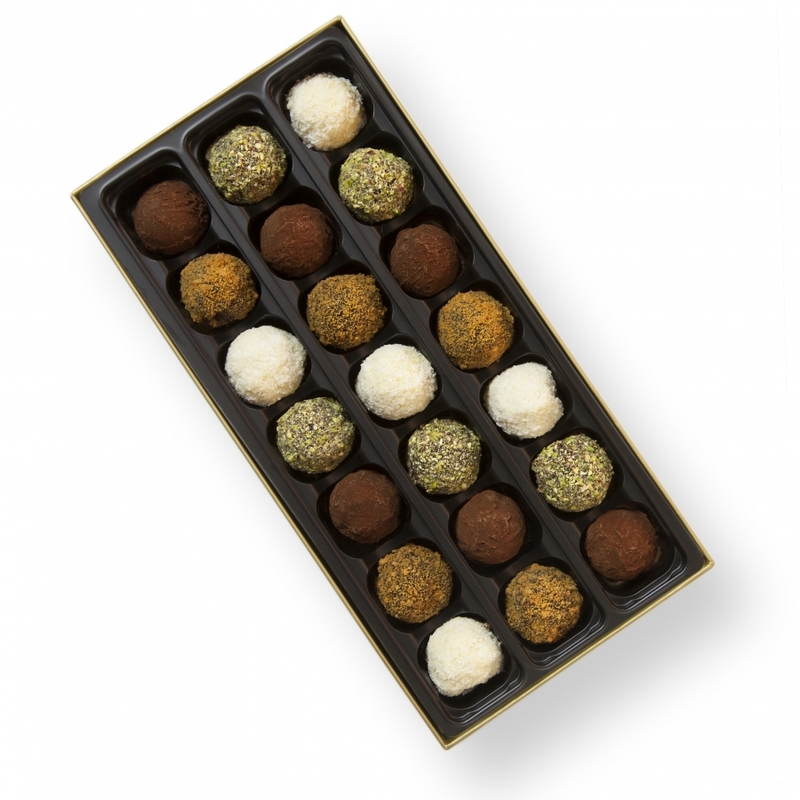 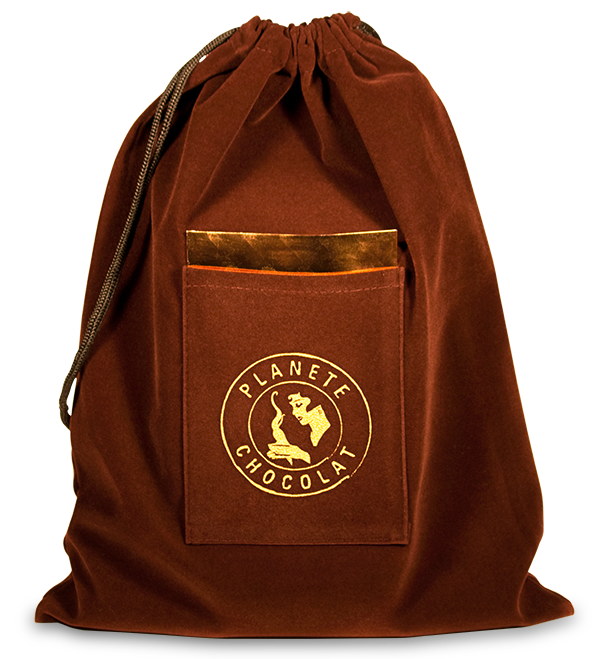 - an exquisite selection of truffles among the most intense of which are Spéculoos, Coconut, Pistachio and Cocoa. 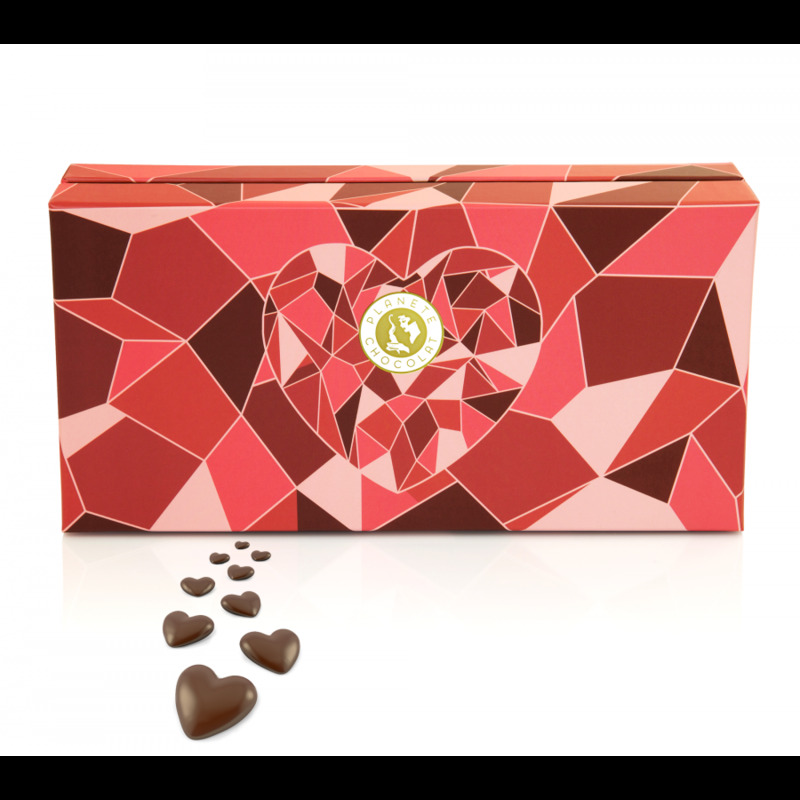 Truly meant for lovers, the temptation package invites you to open your heart and bite into your passions.